At the beginning of 2018, Olivia and her husband began Beachbody’s 80 Day Obsession program. The program, created by Autumn Calabrese, promises a total-body transformation with an emphasis on glute and core training. Over the course of 80 days, Olivia lost a total of 15 pounds and developed a better relationship with food and fitness. Continue reading for her full story as told to POPSUGAR. “When our budget (from eating out) and our belts were bulging, we decided we needed to take control and really focus on our health as a first priority,” Olivia said. 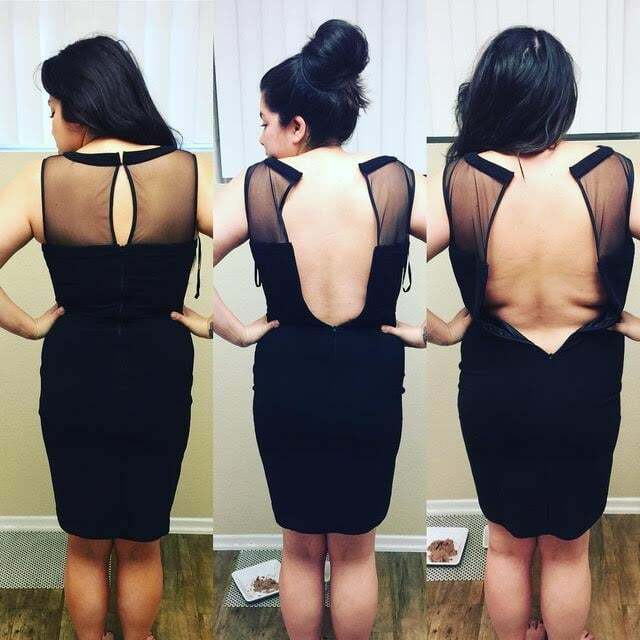 Initially, she felt discouraged because she wasn’t “losing a ton of weight quickly,” but shortly after, she started losing inches around her waist, which she considered to be “much more motivating.” At first, Olivia found the program to be “really tough,” but she credits her husband for holding her accountable to keep pushing and complete it. Olivia told POPSUGAR that on the days she lifts heavy, she makes sure to have carbs before and after her workout. “On rest days, I usually skip the post-workout carbs and eat more protein.” She explained that she doesn’t count calories because “timed nutrition is more about portion control and being smart about balance. When you’re working out six days a week, keeping your body fueled properly becomes more of the priority.” Her main focus when it comes to food is eating whole, minimally processed foods.